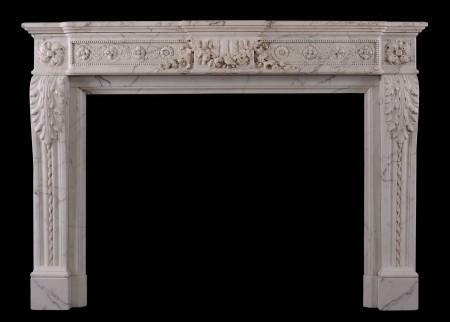 Overseeing the shift from Rococo to a more modern form of neo-classicism, Thornhill Galleries offers a wide selection of Louis XVI, Directoire and Empire fireplaces. 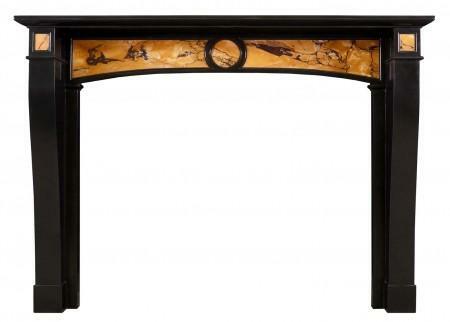 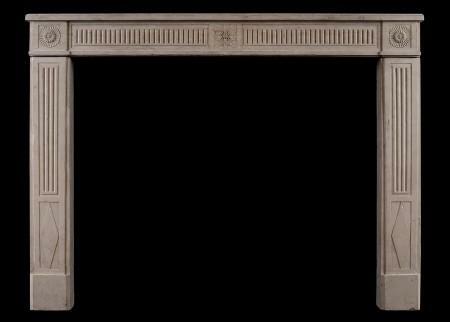 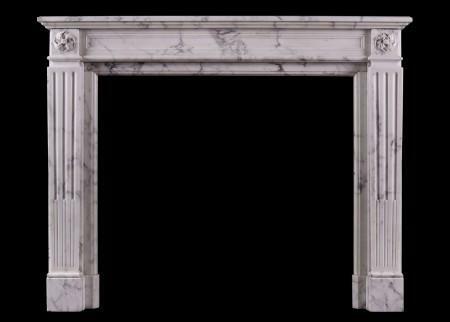 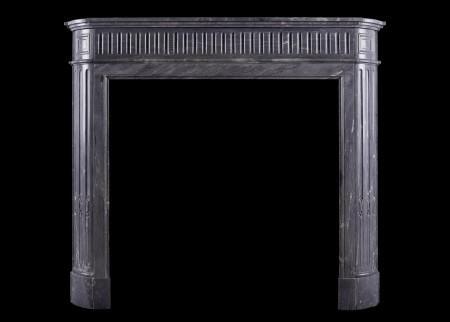 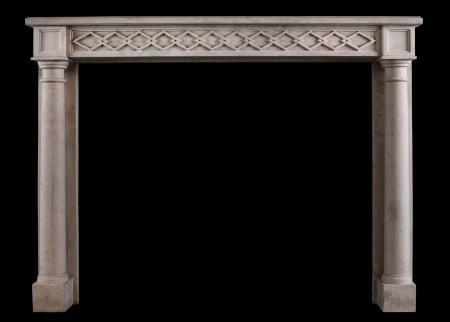 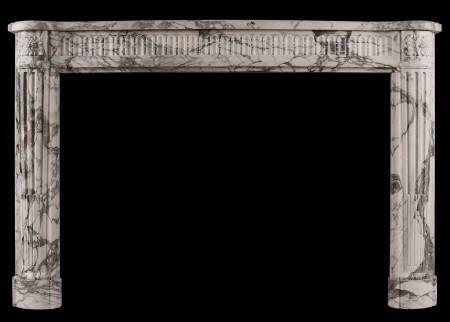 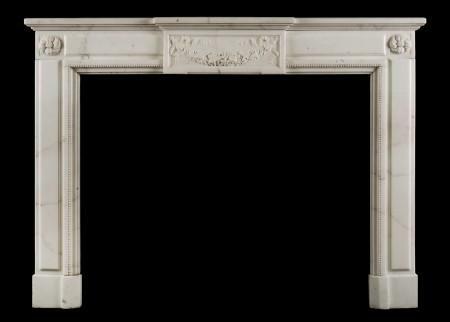 Louis XVI style saw a move to a more rustic simplicity in mantel design, augmented by asymmetry and straight, simple lines which once again incorporated elements of classicism. 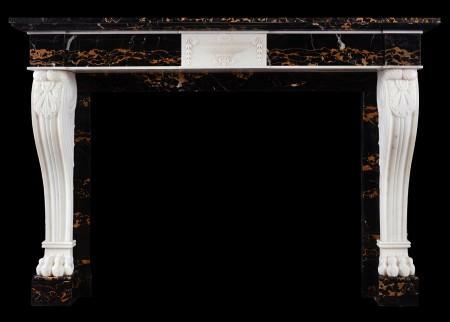 This neo-classical movement continued after the French revolution, in which Directoire style acted as a transition between Louis XVI and Empire. 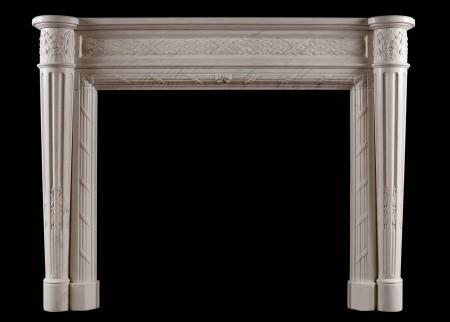 Directoire chimneypieces represented the revolutionary values of stoicism and morality using neo-classical architectural design motifs, decorated primarily with applied paint, rather than the carving or gilt seen in so many styles of the French decorative arts. Empire style chimneypieces took the Directoire’s more stoic representation of ancient Rome, and instead focused on the expansive opulence of Rome’s imperial splendour, highlighting the ambitions of Napoleon Buonaparte. 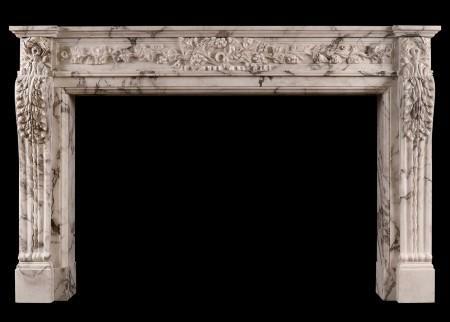 Napoleon was heavily involved in the influence of Empire style, and many fire surrounds of the day would have been embellished with the motifs of his rule such as the Napoleonic bee, enhanced by Corinthian columns and further embellished with ormolu on marble and cast iron. 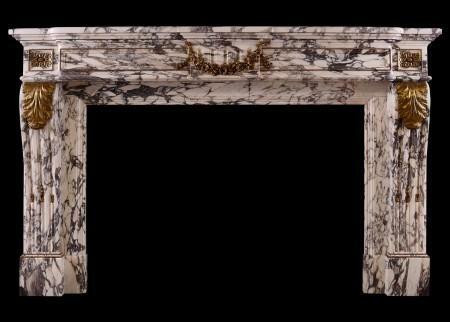 For more information, please don’t hesitate to get in touch. 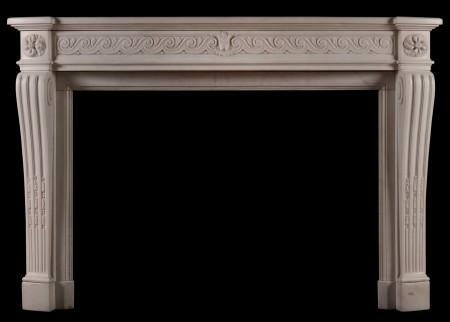 A French Louis XVI style limestone fireplace. 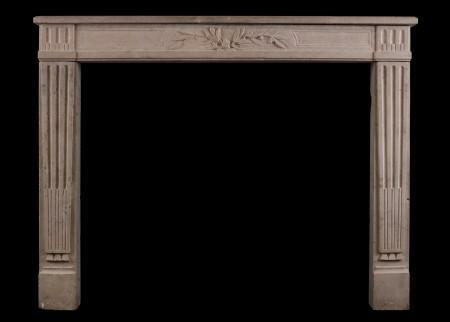 The frieze with centre patera to panelled frieze, the tapering panelled jambs with carved leaf and berry decoration with flower to centre. 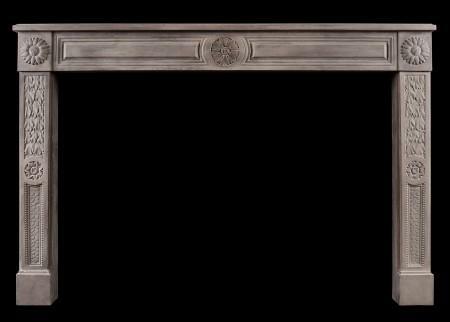 Sunflowers to side blockings. Modern. 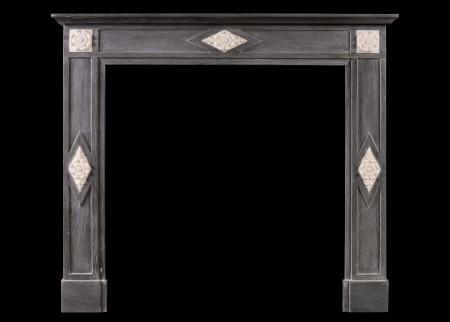 Shown in antique finish. 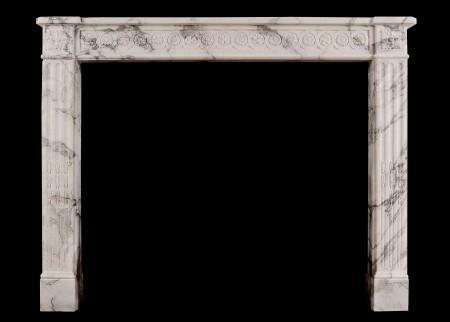 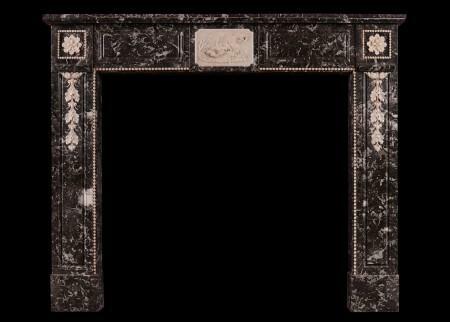 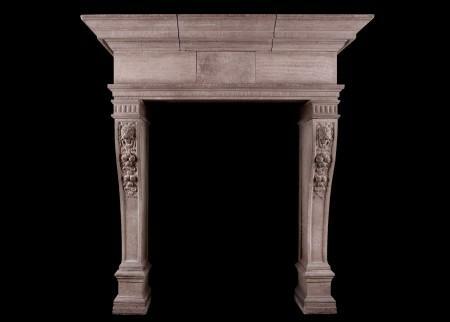 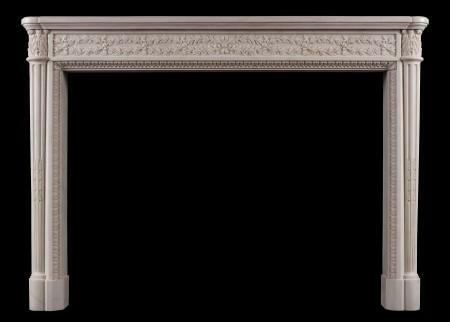 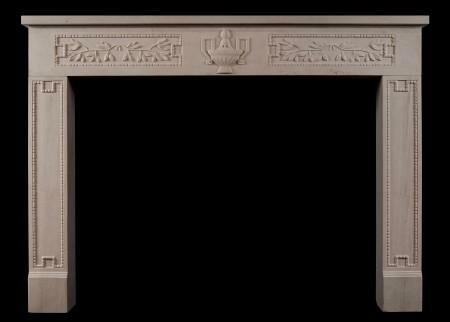 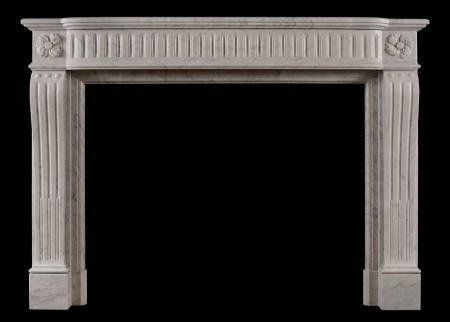 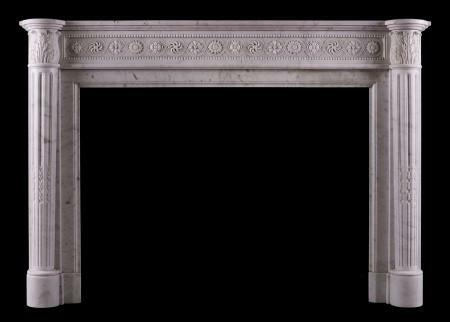 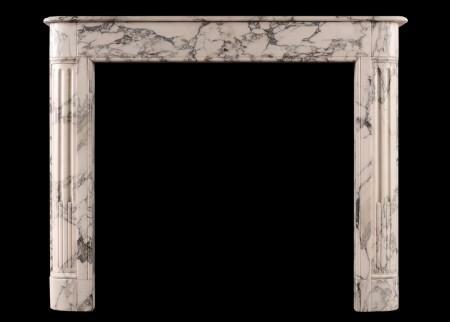 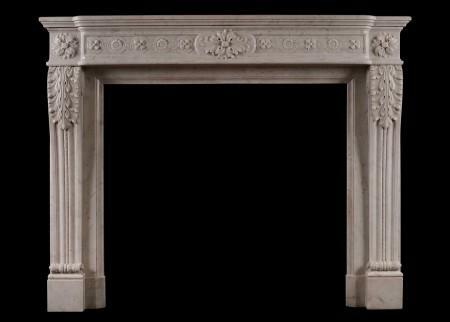 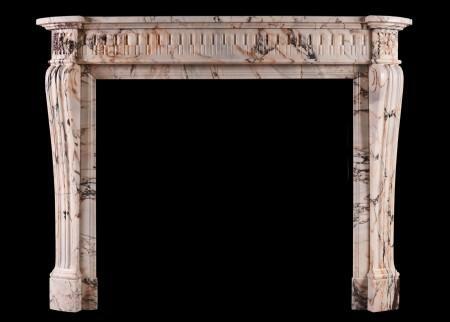 An architectural French Louis XVI limestone fireplace. The breakfront shelf of stepped form, solid legs and plain frieze. 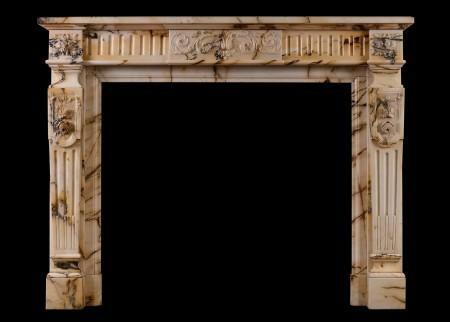 A copy of an original 18th century piece. 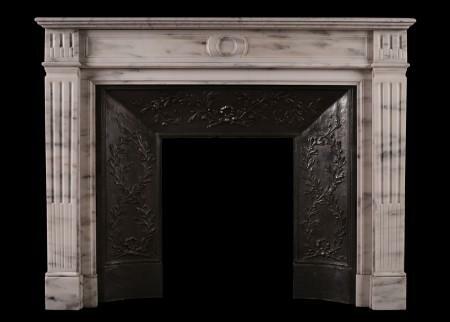 Could be antiqued if required.